As Russia deploys new frigates and submarines, the Black Sea is becoming a Russian lake. Since securing control of its Sevastopol naval base in Crimea the Russian navy has acted to strengthen Russia’s Black Sea Fleet. These are advanced frigates equipped with Kalibr cruise missiles, supersonic Oniks anti-ship missiles, a 100 mm naval gun, Shtil anti aircraft missiles (a naval variant of the well-known Buk missile system) and a Kamov KA26 helicopter. The three Admiral Grigorovich class frigates are the first large surface warships to have joined the Russian Black Sea Fleet since the USSR’s collapse. All the other major surface ships in service with the Black Sea Fleet were built before 1980, with the oldest – the guided missile destroyer Smetlivy – dating from 1969. The arrival of the Admiral Grigorovich therefore reverses a long history of decay, with the status of the Black Sea Fleet left previously uncertain by doubts over the future of the fleet’s key base at Sevastopol. The original plan was to provide the Black Sea Fleet with a force of 6 Admiral Grigorovich class frigates. That project has been at the very least delayed because of the need to find Russian built replacements for the Ukrainian built engines used by the last three members of this class, which are still under construction. Whilst an alternative Russian engine has been sourced from NPO Saturn in Rybinsk, it seems it may not be available until 2020, with the navy prioritising its use for its more advanced Admiral Gorshkov class frigates, which are intended for the Northern and Pacific Fleets. There is apparently now a suggestion that construction of the three remaining Admiral Grigorovich class frigates be discontinued, or that the frigates be completed after 2020 and then sold abroad, so that more resources can be allocated to building more of the advanced Admiral Gorshkov class frigates, some of which might eventually also be deployed to the Black Sea. The three Admiral Grigorovich class frigates are only the most visible reinforcement of the Black Sea Fleet. Of at least equal importance is the deployment of 6 advanced Varshavyanka diesel-electric submarines to the Black Sea Fleet, which has taken place since 2014. Diesel-electric submarines are inherently quieter than nuclear powered submarines and are arguably more suited to the confined waters of the Black Sea and the Mediterranean. The Varshavyanka submarines are state-of-the-art and are sometimes referred to as “black holes” because of their ability to evade NATO acoustic sensors. They also possess a potent armament, being able to carry not just advanced torpedoes but also Kalibr cruise missiles, which they can launch from underwater. 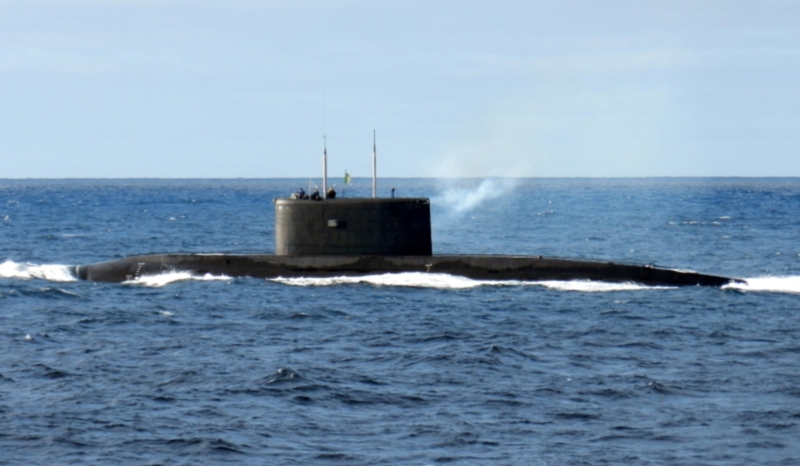 One of the new Varshavyanka class submarines belonging to the Black Sea Fleet, the Rostov-on-Don, demonstrated this capability when it launched Kalibr cruise missiles from a position in the eastern Mediterranean against rebel positions in Syria last year. The Russian Black Sea Fleet represents only a fraction of the forces at Russia’s disposal in the Black Sea region. Air bases in Crimea, the northern Caucasus and southern Russia give Russia an overwhelming advantage against surface ships. Crimea itself, located centrally in the Black Sea, is in all essentials an unsinkable aircraft carrier. The Russians moreover demonstrated during the 2014 Crimean crisis their ability to deploy rapidly to the Black Sea region supersonic land-based Bastion anti-ship missiles, which provide a further potent capability against any NATO warships that find themselves in the Black Sea. Though the Black Sea Fleet itself remains a diminished force compared to its Soviet heyday, the Black Sea is once again a Russian lake.